Through radio waves, information, news, entertainment and music travel the pathways of Queensland. The size of Queensland and the remoteness and isolation of some areas have increased the reliance on radio as a form of communication. Queensland’s first radio station 4QG began broadcasting in Brisbane in July 1925. In 2009 digital radio was introduced in Brisbane. 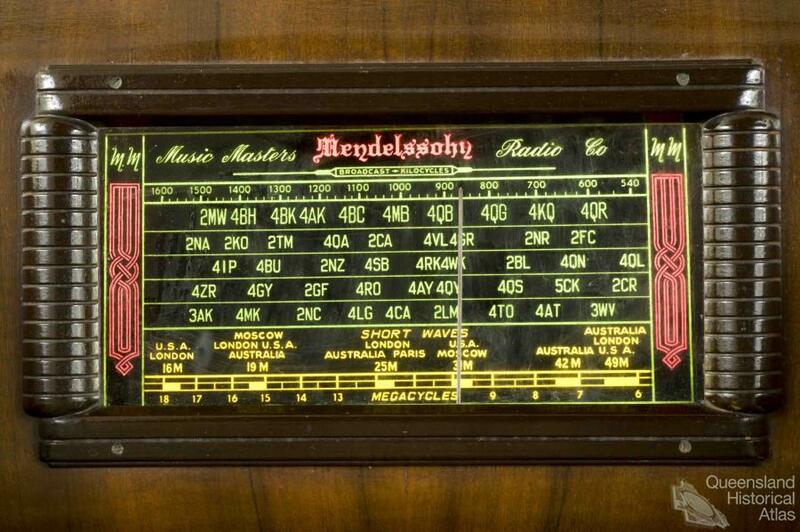 But it is outside metropolitan Brisbane that radio has played an integral role in the communication of Queenslanders. Radio is the most popular broadcast media with Australians spending more than 20 hours each week listening to the radio at home, at the beach, in the car or at work. Experimental radio broadcasting officially started in Australia in 1921 and in 1923 the nation’s first radio station 2SB in Sydney broadcast a live musical concert. Australia developed a ‘unique hybrid broadcasting system’ which government claimed took the best from the British public and the American commercial broadcasting systems. This would develop into the national public-funded ABC which was to focus on the provision of a national service and a commercial system which was to focus on the delivery of local services. The ABC was funded by government through licence fees collected from listeners until 1974 when the Whitlam Government abolished radio and television license fees. Thereafter the ABC was funded through grants and the revenue it generates through merchandising and the sales of programs to overseas networks. Commercial broadcasting is funded through advertising. The opening of Queensland’s first radio station 4QG in Brisbane in July 1925 was followed a couple of weeks later by Toowoomba’s 4GR. Radio boomed in the 1930s. By 1940 Brisbane had another four stations, (4BC, 4BK, 4BH and ABC 4QR) and regional stations had started in Mackay (4MK); Rockhampton (ABC 4RK & 4RO); Townsville (4TO & ABC 4QN); Maryborough (4MB); Ayr (4AY); Oakey (4AK); Ipswich (4IP); Bundaberg (4BU); Charleville (4VL); Cairns (4CA); Longreach (4LG); Roma (4ZR); Kingaroy (4SB); Atherton (4AT) and Dalby (4QS). 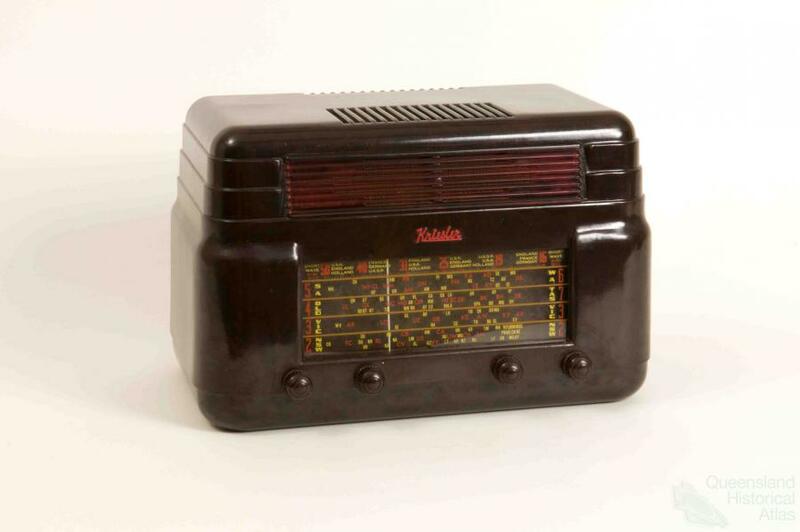 Regional commercial radio stations reflected local interests and often had close relationships with the local newspapers. They purchased recorded drama programs from metropolitan stations, broadcast recorded music and covered local race meetings and events. They became an audio ‘parish pump’ for their communities broadcasting birth, wedding and funeral notices, weather forecasts, club meeting times and headline stories from the local newspaper. They had the ‘ears’ of some 80 per cent or more of their communities. During the 1940s, the ABC began to pay more attention to rural listeners and develop specialised services for them. Rural Broadcasts started as a separate operation within the ABC in 1949 commencing with the popular A Country Hour program. This was scheduled at lunch time so farmers could catch up on world and national news, weather reports, stock and produce sales prices, and the weather forecast. 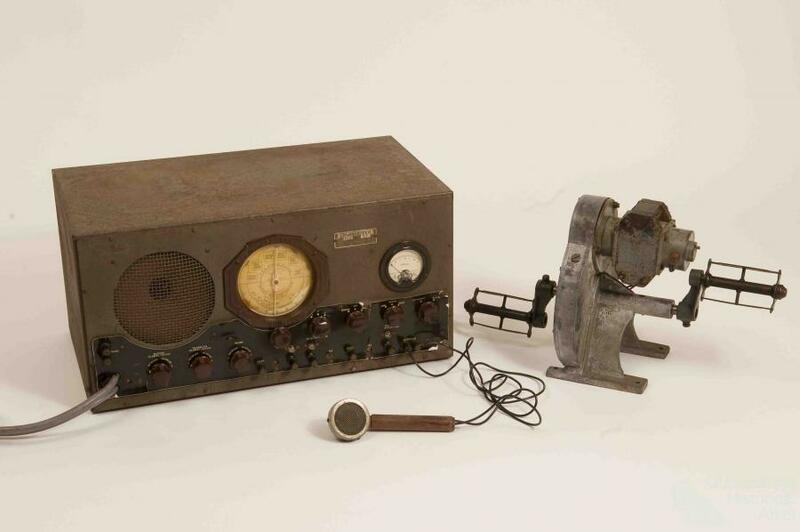 In Queensland commercial radio stations often played a vital role in times of flood, cyclone and bushfires. For many regional Queenslanders the radio was their only connection to the outside world when they were cut off by extreme weather. In the central Queensland town of Mackay, 4MK was the first radio station to start outside South-east Queensland. Amateur wireless enthusiast John (Jack) Williams and his father obtained a commercial licence in 1931 and built a transmitter in their backyard. The studio console was installed in the living room and station programming ceased while Jack had breakfast, lunch and dinner and also when he attended his weekly Buffalo Club meeting. In 1938 the local newspaper the Daily Mercury bought into the growing but still living room-based family business. This pattern of cross media ownership was repeated in many other regional centres across the nation. 4MK would eventually enjoy a commercial broadcast monopoly for 68 years. During this period its only radio rival was the ABC which started relay transmissions into Mackay in 1951 and began a local radio service in 1953. When commercial FM licences became available for regional areas, 4MK challenged the Federal Government for the right to obtain the FM license for Mackay, eventually winning in the High Court. It then divided its own audience through format programming using the HOT FM service for younger listeners and catering for older 40-plus listeners on the 4MK AM station. More licences were released following the Broadcasting Services Act in 1992 which introduced competition into regional markets and ended the requirement for individual stations to comply with specific local programming requirements. Few family-owned radio stations remain, most are owned by national or even international media conglomerates. Government also issued community broadcast licences and regional community radio stations started up in regional centres all over the state. 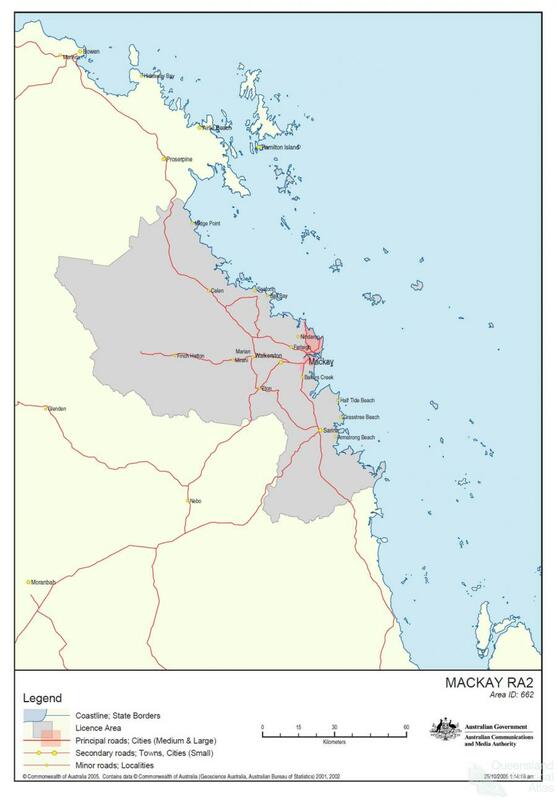 In 2007 Mackay listeners could choose between four commercial radio services (three FM and one AM), two community radio services (one a generalist service the other servicing the Aboriginal and Torres Strait Islander communities), a local ABC radio service, ABC Classic, ABC Triple J, ABC Radio National, ABC News Radio, a narrowcast music station Noise FM and a narrowcast racing service, TAB Radio. While listeners have more choice of services the amount of live and local programming provided by commercial services has drastically reduced. Increased competition for limited advertising revenue in regional markets saw operators cut costs by reducing live and local programming. In the 1970s, when it was Mackay’s sole commercial station, 4MK was live and local for 24 hours a day seven days a week. Now most of regional commercial stations’ programming is networked from larger regional or metropolitan hubs such as Townsville, the Gold Coast or Brisbane. ABC local radio has become the home of broadcast localism for regional Australians. In 2010 Queensland had about 63 commercial stations spread across more than 20 regional towns and Brisbane. The ABC’s Queensland network included 25 regional and Brisbane stations and six national network services which cover most of the state. There are 55 community radio stations with nine in Brisbane and a further 46 across the state. Digital radio in Brisbane added ten new stations on launch in 2009. While mobile telephony now reaches 98 per cent of the Queensland population, it only covers about one fifth of the state's land mass. So radio signals and radio stations remain a vital means of entertainment and information for many in isolated communities and on pastoral properties. Radio also remains the most effective way of warning people about emergencies, from fire and flood to cyclones. Indigneous radio operates or has operated in Brisbane, Cairns, Townsville, Mackay, Rockhampton, Mount Isa, Torres Strait and Palm Island. In Cairns in 1990 Indigenous community controlled Bumma Bippera became incorporated as a media organisation, with the main objective of setting up a radio station. In 1999 Bumma Bippera was granted a full time community radio licence. ‘Bumma’ and ‘Bippera’ are two Aboriginal words from the Yalangi language of Cairns, ‘Bumma’ (the people of the rainforest) ‘Bippera’ (talking amongst ourselves). Bumma Bipperra delivers a 24 hour radio service for the local Indigenous and non-Indigenous community. It has a variety of programs including the Talk Black and Black Shift programs, as well as being a part of the regular Laura Festival broadcasts. Ian Mackay, Broadcasting in Australia, Carlton, Melbourne University Press, 1957.